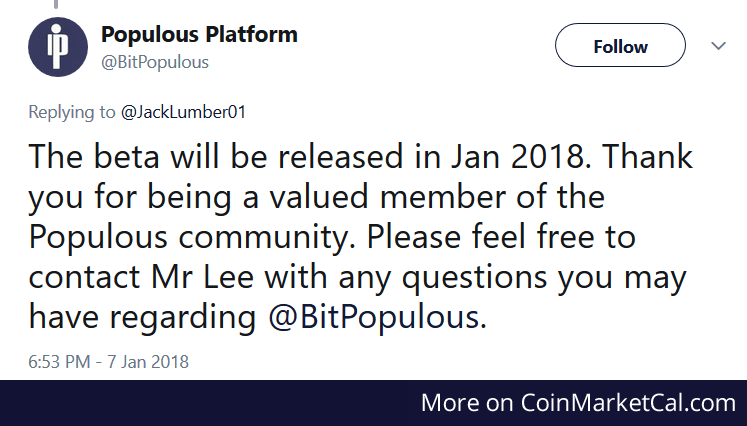 Populous (PPT) - Events, Price, Market Cap, Supply, Exchanges and more! 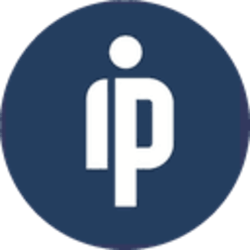 Populous is a blockchain platform for invoice trading. 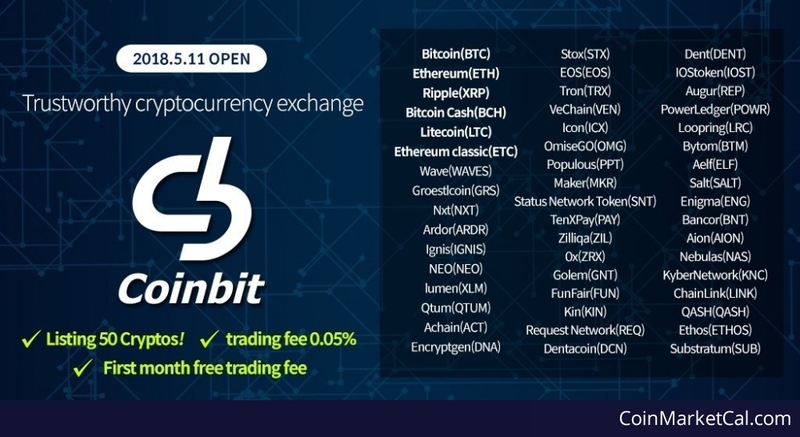 The platform connects invoice buyers and sellers by using smart contracts and fiat-pegged tokens for price stability. 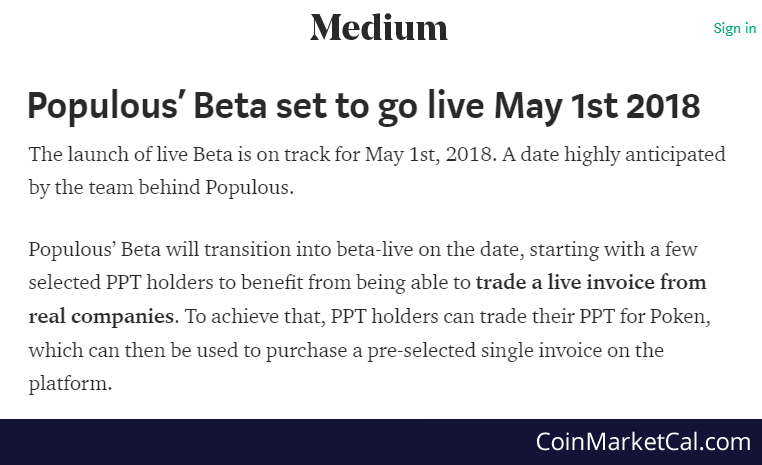 "The launch of live Beta is on track for May 1st, 2018." 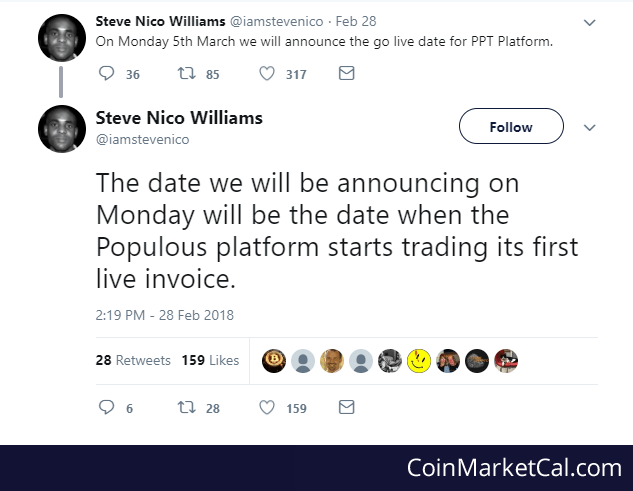 "On Monday 5th March we will announce the "go live" date for PPT Platform." "The beta will be released in Jan 2018."